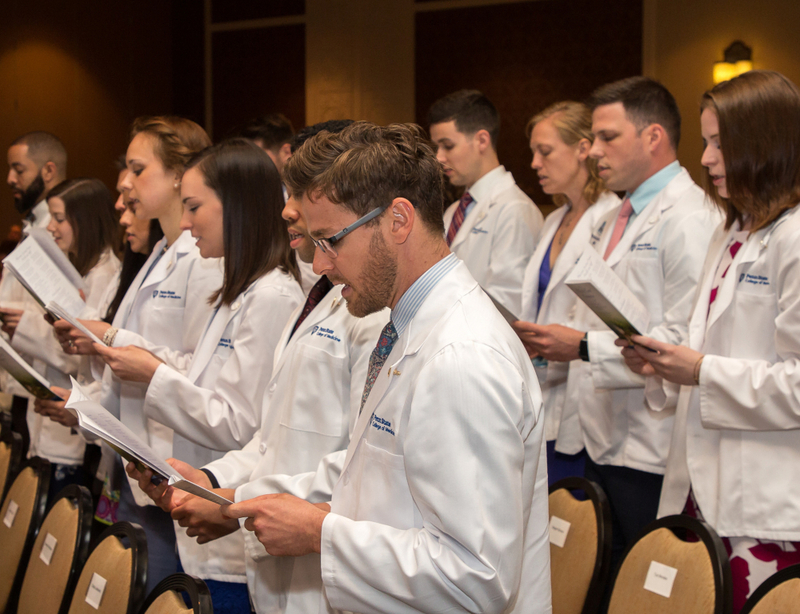 Penn State College of Medicine welcomed 30 new students into its Physician Assistant (PA) Program on May 25 at the annual White Coat Ceremony. The event took place at the Hershey Lodge and Convention Center. 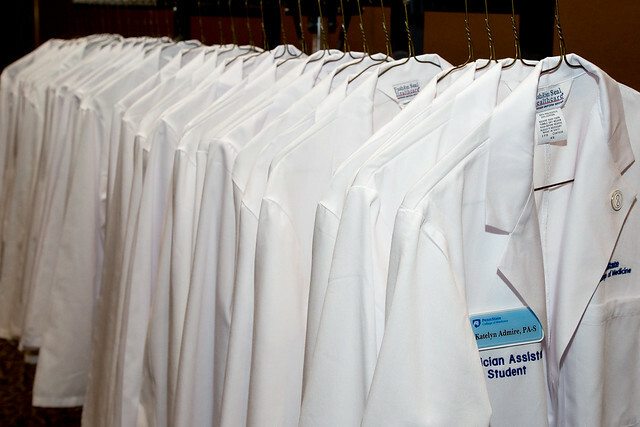 Friends and family members watched the students receive their white coats and recite the Physician Assistant Oath as the first steps in their two-year journey to becoming physician assistants. The 30 new students were selected from an applicant pool of 4,876. They include 15 men, 15 women and four veterans, and they come from 13 different states. Derek Flynn, a physician assistant in pediatric orthopedic surgery at Penn State Health Milton S. Hershey Medical Center, was the keynote speaker. Ken Sherry, Class of &apos;86, an alumnus of the College of Medicine&apos;s original PA program in the ‘70s and ‘80s, was also recognized for receiving the Preceptor of the Year Award from the American Academy of Physician Assistants/Physician Assistant Educational Association. The award honors instructors who have demonstrated excellence in the clinical education of PA students.